UKIP has decided not to field a candidate in Peterborough for the general election in order to help Stewart Jackson retain the seat. The party wants Mr Jackson to win in Peterborough for a fourth time in order to assist with Brexit, as the Conservative politician is hugely eurosceptic. Mr Jackson won the constituency by 1,925 votes from Labour’s Lisa Forbes in the 2015 election, with UKIP’s Mary Herdman coming third with 15.9 per cent of the vote. Peterborough backed Brexit in last year’s referendum, with 60.8 per cent of voters wanting the UK to leave the EU. Since then Mr Jackson was appointed Parliamentary Private Secretary to the Secretary of State for Exiting the European Union, David Davis. Peterborough-based UKIP MEP Patrick O'Flynn said: "Stewart Jackson has been one of the most vigorous campaigners for Brexit in the Commons. He campaigned alongside UKIP during the referendum, helping us to deliver a 61 per cent Leave vote in the city. "He also showed the guts to stand down from a government job back in 2011 to campaign for a referendum in the first place. At this unique Brexit election we would not wish to increase the risk of him being ousted by a Remainer candidate. I am delighted that the Peterborough branch of UKIP has decided to put country before party and stand aside." Mary Herdman said: "We wish Stewart well in this contest on the basis that he can be relied upon to fight for the full Brexit that people voted for last June." UKIP's Peterborough branch chairman Graham Whitehead added: "Our aims of controlling immigration and taking back control of our laws are best-served by this decision." Mr Jackson said: "I'm very pleased at Peterborough UKIP's decision and I thank them for their support. "It was a pleasure to work with local UKIP people in the Vote Leave team in the run up to the EU referendum in June. "I think that we put aside our differences for the greater good. It's clear to me that they were and are decent patriotic people who care about our area and our country and we all want Brexit to work for everyone." They have put country before party and I hope to repay their faith and trust in me if I am am re-elected on June 8th." Labour is targeting the Peterborough constituency in June’s election, with some of its local politicians speaking optimistically about unseating Mr Jackson. The party is expected to announce who will fight the Peterborough and North West Cambridgeshire seats in the next few days, with councillors Ansar Ali and Ed Murphy both believed to be in the running. 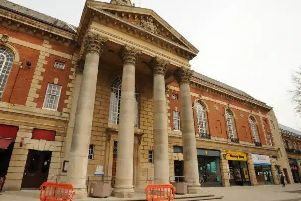 The Liberal Democrats have Beki Sellick pencilled in to run in Peterborough, and Nick Sandford to stand in North West Cambridgeshire, but neither candidate has been confirmed yet.